The first and only time that I met Jacki, I ate a cigarette. Everyone else in the group knew me, but Jacki and I didn’t know each other, and I immediately recognized that the impression that I made upon her was the wrong one. See, I performed a vaudeville trick, where if the weather is just the right temperature, you can eat a cigarette, take a deep, warm breath, and blow smoke. But, of course, it’s not really smoke, just breathing “frost.” Everyone who knew me understood that it was me goofing off, that there are mostly serious sides to my life, depth to my character, but I can be hilariously over-the-top when appropriate. However, not discounting Jacki’s own gracious character, I got the impression that she only saw me as a cigarette-eating jackass – which in the moment, I was. And, that soon troubled me. Firstly, for me, “legacy” is a life-driver, where if I can have even a small, positive impact on a stranger’s life, it’s really important to me. And, every time I thought about Jacki for months, I cringed, realizing that I was nothing more than the jackass who ate the cigarette – not very impacting. And, secondly, I was admittedly smitten with Jacki, where her eloquence struck me – the way she carried herself, you might say. Have you ever met someone in passing, and just thought, wow. Well, that was my moment seeing Jacki – only I was eating a cigarette like a total jackass. So, for some time, when it came to my one and only encounter with Jacki, I saw myself as the underdog in every teen movie: I was the goofy guy who the really attractive, popular girl only saw as a dork. But, life went on, and I reckoned that, at least to Jacki, I’d forever just be a jackass. However, I recently ran into Jacki again while working a trade show, and I immediately had to ask her out to dinner with friends. In fact, I openly prefaced the whole conversation with the fact that I wasn’t the jackass who I may have seemed before, that I was a far more serious guy. It wasn’t that I had anything to prove, per se, but I just wanted the chance to be me – the real me, not some jackass eating a cigarette – and I wanted the chance to likewise get to know her on a genuine level. I mean, maybe after spending an evening with me and friends, she’d still see me as a jackass, but at least she’d see the real jackass in me. Now that you know the back story, let’s fast forward into present tense…. So, we meet for dinner in Los Angeles, and become fast friends, chatting each other up with a lot in common. And, Jacki is an amazing woman – smart, funny, successful, compassionate, and beautiful – and, at some point, it comes out that she has a boyfriend. But, I’m OK that she has a boyfriend because I’m a grown-up, and I’m pleased to be getting to know an amazing person on a totally sincere level. We have a great seafood dinner, and Jacki is kind enough to feed me raw oysters, which are forever challenging to balance on a fork. We learn a ton about each other – admittedly ignoring our friends to some degree throughout the eve – and end the evening with a hug. And, I, the once-jackass, feel like I was able to be my true self, not a seeming jackass after all. And, Jacki was, of course, a remarkable person to get to know. 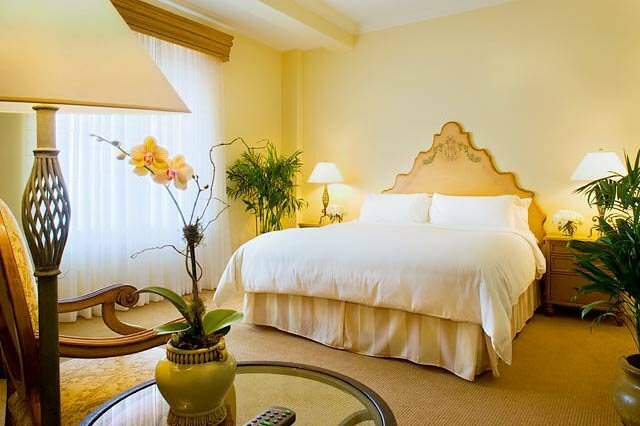 As I fall asleep in my white-comforter, king-size hotel room bed, I feel like I’ve done right by all, and slip off into a sound sleep. However, around 1:30am, I awake with my stomach boiling over – and it’s too late. Even if I was the world’s fastest sprinter, I couldn’t have made it to the bathroom. In the pitch black, I vomit toward the side of the bed – and it just keeps coming. I’m praying that I’m targeting the dirty clothes between the nightstand and my wheelchair, that I’m not hitting the bed, the nightstand, or my wheelchair – but likewise knowing that I’m probably nailing all three at once. Finally, through the dry heaves, I turn on the lamp, scared to see what I find. I glance at the night stand: clean. I glance at my wheelchair: clean. I glance at side of the bed: covered in vomit. Damn, I missed everything but the all-white bed! Now, I’m kind of panicked because I’ve vomited seafood all over a white hotel bed, and it’s a horrible situation. I begin racing through solutions on cleaning this up: a wash rag and soap; I’ll strip the bed and take the sheets and comforter to the cleaners down the street; or, I’ll just live with it till check-out another day, and skip-out of town. But, none of these strike me as valid solutions. However, I have being a bachelor on my side. See, if a woman was with me, it would require immediate action. I’d have to act embarrassed, strip the bed, brush my teeth, and fawn being sicker than I was. But, I’m alone, where the only action required is scooting across the bed, to the clean side, and promptly going back to sleep. This is where being single on the road totally rocks. No, I’m not getting drunk or laid, but the fact that I can vomit on my hotel bed in the middle of the night, and do nothing about it till morning, going right back to sleep, makes being single the best lifestyle ever. And, so, I just go back to sleep – winning. So, last year, I ate a cigarette as a prank, and made myself look like a jackass in front of this amazing woman. And, so to show her that I’m not a jackass, I took her and friends out for seafood last night. And, the woman is totally smart, funny, and caring – but, she has a boyfriend, and I respect that. So, long story, short, I made a new platonic friend, but the seafood, not so much, and I vomited all over my bed. …I mean, all over – the comforter the sheets, running down the sides…. “Trust me, April, when it comes to women and me these days, I’m glad to be sleeping alone every night,” I replied, and headed off to start my day. Author’s Note: If your mind leads you down the path of twisting tasteful innuendos and a dose of cleaver sophomoric humor – all with a relevant message! – into your own biased views of “inappropriateness,” skip this piece, as it requires maturity (and a semblance of empathetic humor), to read. In my 41 years, I don’t recall anyone asking me that question. I mean, people have asked me a lot of blunt questions, but I don’t recall anyone asking me that. Maybe someone did along the way, and I’ve long forgot. However, I think I’d recall such a blunt question, especially about that. I’ve had friends with disabilities tell me that they’ve been asked that question, but in my experience, my relationships always unfolded naturally, where when a woman truly got to know me, any questions or apprehension that she may have had toward that was put to rest, unsaid. And, I suppose that, logically, the fact that I have a teenage, biological daughter these days says it all. Surely, anyone who knows me knows that in acknowledging the seriousness of her question, I’m going to playfully address it with some humor and charm – and a gigantic dash of complete inappropriateness. At 19, I would have been embarrassed or offended by the question – my insecurities at that age would have certainly warranted a serious reaction. However, at 41, after – let me do the math – 23 years of doing that, the question was among the most hilarious that I could be asked. 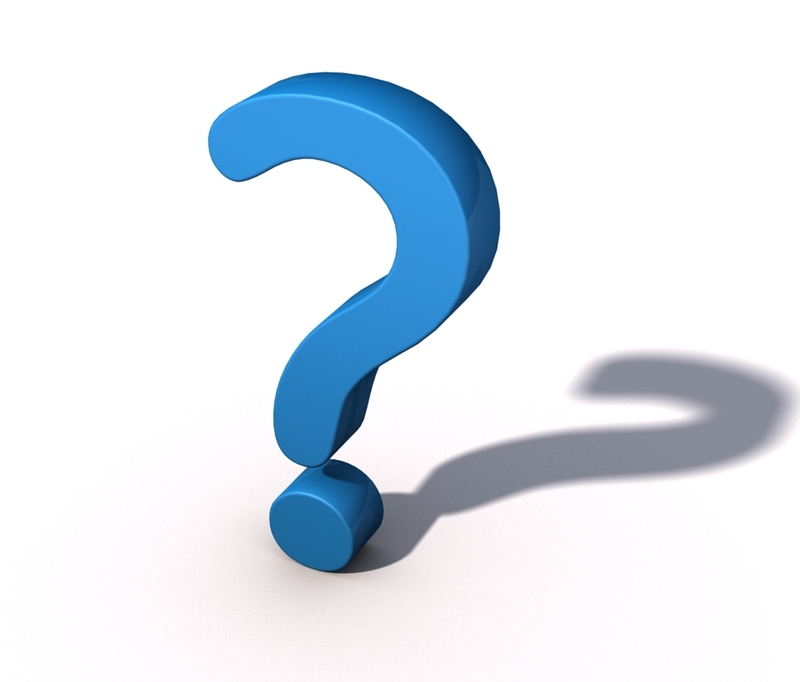 As a gentlemen, I would never dismiss or mock the woman for asking it – ask away! – but if one asks me such a question, you can bet that I will push the subject as far as my wit allows, admittedly for the sophomoric entertainment value. “Maybe we should at least sneak into the bathroom,” I had to add, purposely going way too far, 0 to 100 in an instant, just to see her reaction. “No, really, can you have…?” she asked again, leaning into me with an intent look that was …well …more creepy than flirtatious. Damn, she had me – I hate ambiguity! Was she thinking about that out of creepy curiosity, or was she thinking about that with me, specifically? Was she a creepy chick, or was she just into me? Wait! There was a third possibility: Was she a creepy chick who was into me? I’ve had enough creepy chicks into me – I want possibility number two, a chick who’s just into me! “Do you remember Tone Loc, the rapper from back in the day?” I asked. “Of course,” she replied, taking a sip of her water. “Well, Baby, if you’ll be my queen, I’ll show you what I mean, doing the wild thing,” I said, destroying the lyrics to the song as I tried to rap them. “You’re ridiculous,” she said, laughing. “Really I wasn’t sure about it all,” she said, wiping her hands on her napkin. “I was just wondering, Jerk,” she said with a smile, going back to her shrimp. We went back to my house, and knowing that my daughter was at my sister’s house, I had every guy’s dilemma as we pulled into my garage: Should I call it a night, or use the sleaziest line ever, So, do you want to come in? Nope, not my gig – I, of course, opted to call it a night. One, despite poor humor, I’m always going to honor my integrity after such a night, and keep all above board. And, secondly, why ruin the mystery for her? After all, as far as I know, she’s probably still trying to figure out exactly how that works – the wild thing. So, I continue on among the most remarkable paths of my life, a single, full-time father – or, as I like to put it, “I’m a 40-year-old single, full-time father with cerebral palsy, raising my 14-year-old daughter….” I love phrasing my life that way because it’s so absurdly over-dramatic, and what’s even better is that it pretty much sums me up as the last guy on Earth any woman would ever date. I mean, if you pull any part of that description out, it plays as a run-the-other-way alarm to any rational woman: A 40-year-old guy – strike one! A single, full-time father – strike two! A 14-year-old daughter (though, she is the best kid ever) – strike three! And, then add cerebral palsy – I’m out! Really, I’m the personal ad from Hell. However, as over-dramatic as adjectives can make my life sound, the truth is, it’s anything but dramatic these days. See, much like my cerebral palsy isn’t the toughest of roads, neither is being a single, full-time dad. In fact, like my disability, being a single, full-time dad has directed my life in wonderfully grounded, content ways, where there’s a peace and joy in my life that I’m not sure I ever knew – and others may not expect. The process of divorce, becoming a single, full-time dad, and all of the emotions surrounding it started out as little more than controlled chaos, where there was an initial physical shock to my life. While my marriage was disintegrating for years, my ex-wife still did everyday tasks like laundry and grocery shopping. So, upon her leaving, I was literally left with a pile of dirty clothes and an empty refrigerator, looking at my daughter, thinking to myself, OK, where do we go from here, kid? It’s just you, me, and one heck of a mess! But, like any time when we’re on the ropes in life – scared, stressed, chaotic – the old standby to Just do something! came in handy. And, that’s what I did. I determined that the priority was to get our house in shape – clean clothes, and food in the refrigerator! – and go from there. In the process, I learned that we can’t control everything (actually, I learned that a long time ago, per life! ), so start small by controlling something. And, in such situations when we’re scared and life feels chaotic, simply finding control over one small aspect in our lives truly gets us moving in healthy directions. For me, I started by spending a weekend cleaning my master suite while my daughter was at a friend’s slumber party. From there, I got a new bed, redecorated a bit, and got at least my “area” to my liking. I then had momentum to keep going through not just the house, getting all in order, but also addressing all of the emotions and realities that go with being a single dad. And, it was insanely challenging, more so than most around me knew at the time (few knew the extent of the personal challenges that I was facing because, one, I keep my career and public life on track no matter what, and, two, because I just really felt the need to get my home life on track on my own, with utmost personal accountability). My mindset was, I don’t care what’s happened – it’s my sole responsibility to get things on track for my daughter and me, where I’m willing to tackle whatever it requires. (And, there had to be accountability on my part for the downslide of the marriage, as well — no, I don’t think I was the cause, but even in the best intentions, my codependancy and denial played ultimately destructive roles.) What occurred to me was that I wasn’t at an end, but a beginning – the opportunity to make things right, to get healthy in every way. I realized that when we’re in a bad relationship, we really don’t have much to lose – we’re already living in dysfunction, running on empty. However, once single – especially as a parent – we have everything to lose if we don’t get it right, as it’s truly our chance to live up to be all that we’re capable of being. (This realization especially hit home when I found myself at one point in my process of getting my personal life back on track, where I caught myself developing a relationship with a woman that clearly wasn’t in the best interests of my daughter and me [vulnerability, falling back into dysfunctional patterns, and ego can get the best of us at times!] – and I quickly recognized my poor judgement, hit the brakes, and put an end to it in real time.) Therefore, I wasn’t about to let any aspect of my life slip or any opportunity for improvement pass. I had to be accountable for the past, present, and future. Every day, I got up long before dawn to get all of the morning chores done, dropping my daughter off at school, being at work by 7:30am. Then, I raced home after work to clean, do chores, grocery shop, run my daughter to her activities, and keep up on my writing, email, and after-hours work, getting to bed by midnight. And, for several months, I just kept going – 20-hour days – feeling like getting the house and our lives on track was a stress-filled, never-ending process. It was like the movie, Groundhog Day, where I went to bed every night hoping for some relief, only to wake up in the seeming blink of an eye the next morning, having to do it all over again. Yet, I also knew from life experiences that when times are tough, short-term pain is a small price for long-term gain, that when you’re exhausted, you can’t slow down, but must actually speed up, even when you feel like giving up – and there was too much to lose to let even the smallest detail slip. Fortunately, as I had hoped, eventually each day got easier and easier, with the house – and our life together – dramatically in order. And, I could breathe. Finally. What was poignant during the whole process was that my daughter and I weren’t just rebuilding our life; rather, we were rebuilding our life together. And, through nightly talks – which we call “check-ins” – we set-out to further define our life together, complete with our own mission statement: To share the joys of life, mutually respecting and inspiring each other as we go. And, it’s worked – it’s all fallen into place. The scariness, stress, and chaos has been replaced with happiness, calmness, and tranquility. Weeknight evenings are no longer about surviving, but thriving, revolving around my daughter’s activities – singing lessons, drama rehearsals, and high-school football. And, I’ve mastered being Mr. Mom, balancing house chores with everything else that I need to do, keeping all on a schedule that allows comforting predictability and normality in our home life. Every night, my daughter and I make dinner together – getting better at our cooking skills all of the time! – and we do the whole homework thing, keeping my daughter excelling in honors classes. Then, we always have some fun activity to share, from playing board games, to baking cookies, to listening to music, to editing each other’s writing. On the weekends, we’re off somewhere, doing something, enjoying life, the two of us, where the possibilities and adventures seem limitless. As I’ve shared with my daughter, life isn’t fair, and there is a tragedy in the fact that her mother isn’t in her life. However, we always can make the best out of a bad situation, where at points in our lives we must choose to not crumble, but rise as the Phoenix from the ashes. And, we, together, have proven the title of the Hemingway novel on my bookshelf: The sun also rises. 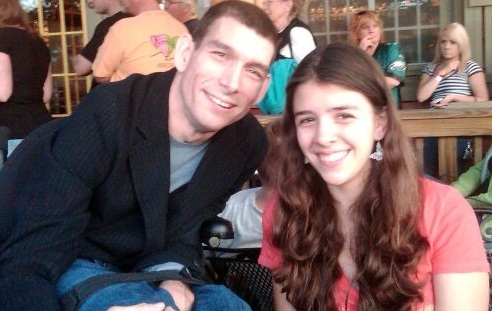 Indeed, as a “40-year-old single, full-time father with cerebral palsy, raising my 14-year-old daughter,” I may seem every woman’s nightmare of a guy. However, when my daughter and I are curled up on the couch with our two dogs on Saturday nights, drinking homemade smoothies and watching the cheesy ’80s teen movies that we both love, I wouldn’t change a thing. It’s been a bit of an emotional trek getting here, but the journey has been well worth any trials, as for me, just being Dad continues proving the truest blessing of my life. A friend of mine introduced me to the music of British musician, Marcus Foster, whose song, “I Was Broken,” is hauntingly beautiful. It’s about recovering from being “broken,” whatever that may mean to any one individual. In the disability realm, the medical model defines us as physically “broken.” However, I’ve never seen that truly to be the case on an individual level. We know of people with extraordinarily physically severe disabilities living vastly successful lives – some far more successful than able-bodied counterparts. So, then, where does broken enter the lives of those with disabilities? Interestingly, broken enters the lives of those with disabilities in the same way as it effects everyone else: Emotionally. See, broken isn’t an exterior condition; it’s an inner one. If you think about our physical states as individuals, they’re so diverse and so easily compensated for – I simply use a wheelchair because I can’t walk – that it becomes all but impossible to define a physical condition as broken. Yet, where broken enters our lives – for everyone – is when we don’t feel worthy enough, when we don’t like who we are, when we feel like our lives aren’t heading where we’ve dreamt, when we feel haunted by the past, when we feel like we can’t meet others’ expectations, when we don’t feel deserving of others’ love, when we feel incomplete. These feelings – these excruciating emotional struggles – are when we’re truly broken. I’m very fortunate to often find myself genuinely connecting with those around me, even in casual settings, and as one of my best friends warned an acquaintance as we were socializing, “Mark’s not exactly known for light conversations – they tend to go deep.” And, he’s right – because I know that there’s a common humanity among us, where no matter who we are, or where we’re from, we all share common experience – including having been broken. What’s poignant to me is that when I share with others our common struggles with identity, self-worth, longing, and so on – all of the emotions that cause us to be broken at points in our lives – it’s universally human. Surely, when we’re broken, it’s telling us that something is wrong, that our lives aren’t heading in the directions we wish. 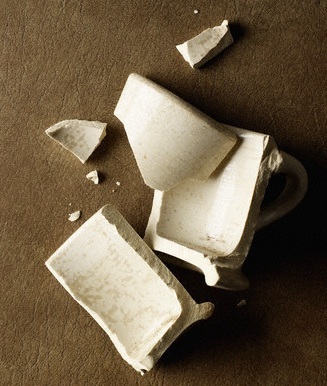 Sometimes being broken is based initially on uncontrollable circumstances; other times, it’s based on our own actions and poor decisions; and, yet other times it’s based on a compounding of all of the above. But, regardless of the causes, here’s what’s striking about being broken: It’s the gateway toward moving our lives in the right directions, it’s the opportunity to realign the paths of our lives to what we wish and deserve. Objects can be shattered to the point of beyond repair; but, not so the human spirit – there’s always the ability to restore and rebuild it, often to greater capacities than previously known. I know, moving through that gateway from being broken toward wholeness is the toughest challenge we’ll ever face in life. I’ve been broken, and collecting the shattered pieces, trying to figure out how to make myself whole again at points in my life has never been quick or easy – sometimes it’s been like trying to put together a 1,000 piece puzzle with not even a picture of it to help chart the task. And, while there’s no universal answer to rebuilding ourselves from being broken – for some, time heals all; for others, personal space helps regain perspective; and, for yet others, formal processes like counseling help – we know that honesty is the first step toward repairing what’s broken, where despite our fears, shame, and hurt, we must maintain gut-wrenching honesty with ourselves and everyone around us about what we’re going through. If we avoid the candor of being broken, we can’t address it. It’s like ignoring anything that’s broken – it can’t fix itself. However, in merely our admission of being broken, we begin healing. See, when we allow others in, to truly know us – broken, as we may be – we begin to liberate ourselves in that process. And, what I’ve learned most about being broken is that it ultimately plays an empowering role in our lives: Being broken allows us to clearly see the individual pieces of our truest essence, ones that we can eventually put back together however needed in order to achieve our hopes and dreams – finding ourselves whole, fulfilled, and content in the end. I lay in this hotel room bed – alone – thinking of Vic, who committed suicide almost 22 months ago to the day. This evening, I spoke to a group of around 170 people, half-way across the country from my home – and I knocked ’em dead, as they say in show business. It was my kind of event – dinner and cocktails – where I have the liberty of really working a festive crowd. And, I hit it home with a theme of following the ramps in our lives – bridges of opportunity that take us to places we never dreamed – by interweaving stories from the humorous to the poignant. And, the gracious crowd was with me all along – an exchange of amazing energy – and then I rolled off stage to their flattering standing ovation. …From what I knew of Vic, from what I’ve since learned of Vic, and from what I’ve witnessed and experienced in my own life, I believe that the unique pressures of living ultra-successfully with disability caught up with him, where he wasn’t able to cope with the extreme fluctuations in his life. See, when you have an exceptional level of success like Vic did while living with a disability, it can become a tale of two cities. On the one hand, publicly, everyone’s telling you that you’re a huge success and inspiration, putting you atop the world. Yet, on the other hand, you’re a real person, with real-life issues toward health, relationships, and finances. And, when all isn’t kept in balance, you can go from extreme highs to extreme lows in literally a matter of moments – in the time it takes to go from on-stage in front of a cheering crowd to a lonely hotel room where you’re left to face the realities of your everyday life. Truly, when you have such extremes in life – and you’re emotionally unable to center yourself – it’s just as easy to get consumed by the lowest of the lows as the highest of the highs, where the healthy middle-ground needed to survive doesn’t exist. And, that’s where the tragedy in Vic Chesnutt’s life occurred – not in his literal disability, but in his inability to find that middle ground of understanding and comfort in life as a whole, where, by all accounts, he lived a tormenting oscillation between the highest heights of elation in his work, and the deepest plunges of despair in his personal life, with no middle ground to just be at peace. My colleague and I leave the banquet after the program’s finished. I thank our host for the engagement, and I convince my colleague to go across the street with me to an eatery for a late night snack. 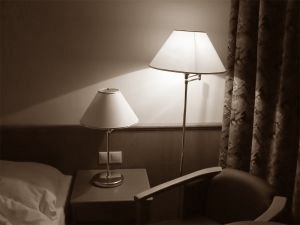 Again, going from a stage to an empty hotel room can be torturous – there has to be a bridge in-between to help one transition from the energy of a packed house to being totally alone. And, by getting something to eat, I’m stalling – buying my time, avoiding the empty hotel room in which I will inevitably find myself. But, I can get through it – alone, the hardest part of it all that Vic knew too well. Eventually, I make it to my room like countless other nights on the road. I lay in this hotel room bed – alone – thinking of Vic, who committed suicide almost 22 months to the day. And, I realize that everyone’s assumptions of Vic’s suicide truly were wrong. See, as I stare at the shadow of the drapes in the dark, I know that the challenge for guys like Vic and me isn’t being alone in our disabilities; rather, the challenge is being alone in ourselves. I wasn’t the least bit uncomfortable about it, nor was she. See, there I was, all dressed up to give a talk in front of a corporate group, but I was presented with a pre-talk lunch served by our gracious host, consisting of sushi rolls. 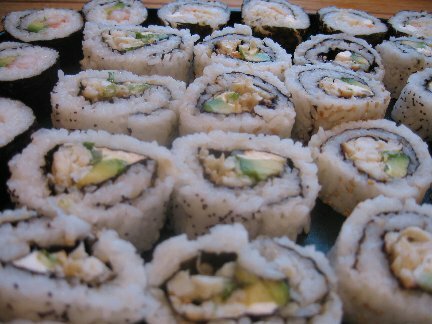 I knew from the very sight of the rice-covered sushi rolls that, due to my poor coordination, there was no way that I could get them from the table to my mouth without rice and who knows what else ending up on my neatly-pressed pants…. So, I had two choices: One, I could simply not eat; or, two, I could have the courage to ask for help. With little hesitation, I asked for help because it’s just as important to me to acknowledge my vulnerabilities as it is my strengths – that is, I want those around me to know my entirety, not just selected parts. I wouldn’t be true to myself or those around me if I only showed my strengths, and didn’t admit any limitations of my disability, my vulnerabilities. Fortunately, my asking for help was easy in that instance based on the fact that a dear colleague of mine was with me, who’s traveled with me quite a bit, so asking her for a helping hand was natural. What’s interesting, though, is that getting to that comfort level – where I could turn to my colleague and say, “Would you mind feeding me my sushi, so I don’t get it on my clothes?” – took time and candor to evolve. On her part, my colleague’s sincere, genuine nature has been touching, and she’s proved truly intuitive in getting to know me as a person, disability and beyond – all of which speaks to the exceptional qualities of her character. However, I’ve likewise have had the openness not to hide any of my vulnerabilities – the realities of my disability – from her. She knows that I drink through a straw, I squirm in airplane seats to shift weight off of my rear, and can be a bit messy when I eat, and on and on. I am who I am, and I trust that my comfort in living with my vulnerabilities – where I don’t display only the so-called best of me, but the true me, flaws, spasms, and all! – has likewise made her more comfortable. None of us are perfect; we all need help at some point in our lives. And, allowing others to see our vulnerabilities is a positive trait, one that unifies, where asking for help and helping others is an inspiring exchange. We don’t get through life alone, and sharing our vulnerabilities is a key that we all need in living a life that allows us to truly connect with others in the most genuine ways. Interestingly, researchers scoured the globe for the one aspect that most connects us with others – that is, what forms the deepest, most meaningful relationships on all levels? – and allowing ourselves to express our vulnerabilities topped the list. Vulnerabilities, it proves, are only weaknesses when we won’t admit them. However, when we admit our vulnerabilities, they become strengths because we’re showing ourselves to others in the most genuine ways – and that forms the most open connections with others, the sincerest relationships. Of course, it’s easy to know why many people hide their vulnerabilities: They’re scared that others won’t accept them in their entirety, that others will judge them. But, this rarely proves the case. The basis of sharing vulnerabilities is formed within honesty and results in our fully opening ourselves up to others – and those are the foundations of healthy relationships. When we live freely with our vulnerabilities, we allow others to accept us wholly, and we accept others wholly, as well (if I expect you to accept my vulnerabilities, I likewise must accept yours, and we’re two perfectly imperfect people connecting on the sincerest level). But, here’s what’s really important: When we express vulnerabilities with others, we’re acknowledging our vulnerabilities within ourselves, and it’s the self-acknowledgment of our vulnerabilities – not denial! – that allows us to live healthier lives. Addiction and recovery proves an enlightening study in how vulnerability can kill us or liberate us – sometimes literally – all based on whether we admit vulnerabilities. For example, an addict in the clinches of use, will never admit vulnerabilities. An addict won’t admit to causation, won’t express genuine feelings, will try to justify even the worst decisions, and will lie about everything under the sun, including lying to his or herself. That is, addicts run and hide from vulnerabilities via substance abuse – and, at best, it disconnects them from meaningful relationships, and, at worst, it literally kills them. However, recovering addicts do just the opposite – they admit and address vulnerabilities. Think about the first words spoken by everyone at an Alcoholics Anonymous meeting: I’m Joe, and I’m an alcoholic. Admitting the vulnerability of addiction – that is, being honest and candid – liberates and connects. There’s remarkable empowerment in it. And, when getting into deep models of recovery, acknowledging the vulnerabilities that lead to the addiction – past traumas and such – is yet another way of profound recovery. That is, the only way addicts stop using is by acknowledging and addressing the underlying vulnerabilities that cause the addictive behavior in the first place. In our personal lives, hiding behind our vulnerabilities – or, denying them through self-justification – is extremely dangerous, defeating so many potentials in our life: I’ve been hurt in a past relationship, so I’m not going to trust anyone again…. I don’t want to be seen as weak, so I’m not going to apologize…. I’m not going to show all of me because others will judge me…. Really, what such a closed emotional state says is, Overall, I’m going to self-sabotage meaningful relationships because I’m so scared to reveal my vulnerabilities – my complete self – to others. It is astounding how painful and self-defeating it can be in not allowing ourselves to be vulnerable. At the very least, most of us can relate with the inner-conflict that occurs when we want to reach out to someone, but don’t out of the fear of feeling vulnerable – maybe it’s asking someone on a date, maybe it’s calling an estranged family member or loved-one to try to patch things up, or maybe it’s sharing one’s true feelings with a good friend. I’ve struggled with all of these – and continue to at times! – but what I’ve learned is that while there’s always the risk of the other person not being receptive, there’s also the more likely possibility that the other person will be receptive. And, the real reward in this process of overcoming our fears of vulnerability is that we’ve at least had the integrity to act on our true feelings, with sincere intent, living openly in every way – and that’s liberating, regardless of the final outcome. The fact is, there’s a universal bond in the truth that none of us are perfect, that we all have vulnerabilities – and some are scary to admit to ourselves and others. Yet, when we live freely with our vulnerabilities, acknowledged by ourselves and shared with those close to us, we not only allow others to know us completely, but we’re far more open and accepting of others – and that builds connections of lasting trust and meaning. I have vulnerabilities, you have vulnerabilities, and it’s all OK. Let us live fully as perfectly imperfect people – with our glorious vulnerabilities exposed! – and our self-acceptance and relationships will flourish.